Foot & hand reflexology is a scientific art based on the idea that there are zones and reflex areas in the feet and hands which correspond to all parts of the body. The physical act of applying specific pressure to specific points on the hands and feet result in stress reduction; which causes a physiological change in the body. The Aim of Reflexology is to relax tension, improve nerve and blood supply, and bring the whole body back into natural balance. It is never meant to be used instead of traditional medicine, but rather in conjunction with traditional medicine as an aid to healing and healthy living. The goal of Reflexology is to eliminate toxins from the body. The body naturally gets rid of its waste salts via the skin, urinary system and the digestive system. If the body is not functioning 100%, then some of these waste toxins stay in the body. They collect in the nerve endings related to the part of the body that is mal-functioning. The toxins crystallize in the nerve endings. The job of the Reflexologist is to help the body rid itself of these crystals. By carefully working over the whole area of the feet and hands they are able to break down the crystals. The Lymphatic system, the body’s cleansing system, washes out the dissolves toxins. These toxins are then excreted in the normal way. The patient is advised to drink extra water, six to eight glasses a day, for three days after the treatment to help with the cleansing effect. Reflexology is not a new fad; it was used by the Ancient Egyptians and Asian Indians over 5000 years ago and by the Chinese over 10,000 years ago where it was used as a maintenance therapy along with Acupuncture. 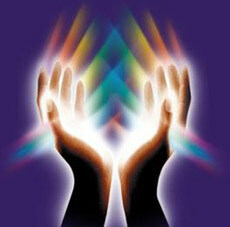 In addition to Reflexology, Healing Touch and Reiki are other therapies used by natural practitioners. These use the layers of energy that surrounds the body. This energy is redirected back to the body. It improves the blood circulation and increases the oxygen supply to the body, thus improving the healing of the body. The energy layers around the body also relate to the spiritual, emotional and mental well-being of the patient. These treatments treat the whole person rather than just one part. After a treatment patients comment that they feel at peace, have improved concentration, and are better able to cope with the demands of life.